ABUJA- Governors elected on the platform of The Peoples Democratic Party (PDP) governors under the aegis of PDP Governors’ Forum yesterday disagreed with the call by the party’s Board of Trustees (BoT)for a consensus candidate, it was learnt late Tuesday night. The governors also resolved that the national convention of the party where the presidential candidate would emerged would hold in Port Harcourt, the Rivers state capital. 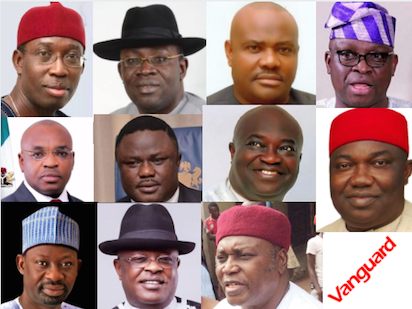 Recall that the governors had in their communique on Monday resolved to have an all-inclusive meeting with all the PDP Presidential aspirants, with the National Chairman, two national officers of the party, as well as leaders of the party in both chambers of the National Assembly in attendance. A source at the meeting yesterday told journalists that the governors resolved that all the aspirants should head for primaries, in the spirit of fairness and equity. “The governors disagreed with the issue of consensus. They said that all the aspirants should go for the primaries to avoid unforeseen development. They want a contest among the aspirant so that the best can emerge,” he said.